Solo travel is currently a leading global tourist trend. While solo travel and solo living have long been popular among young people in the western world, young Russians are only now starting to see the joy and thrill of going it alone. Russian travellers are making more trips alone. Skyscanner, the ticket search engine, reports that in 2016 single traveller reservations from Russia was 64 percent out of the total national figure, compared to 61 percent in 2015. Meanwhile, the Russian share of Skyscanner group reservations decreased from 39 percent in 2015, to 36 percent in 2016. "We don’t view these statistics as a sort of solitude index for Russians," said Dmitri Khovansky, PR manager at Skyscanner Russia. "First and foremost, the growth of single trips means that Russians no longer fear travelling alone." 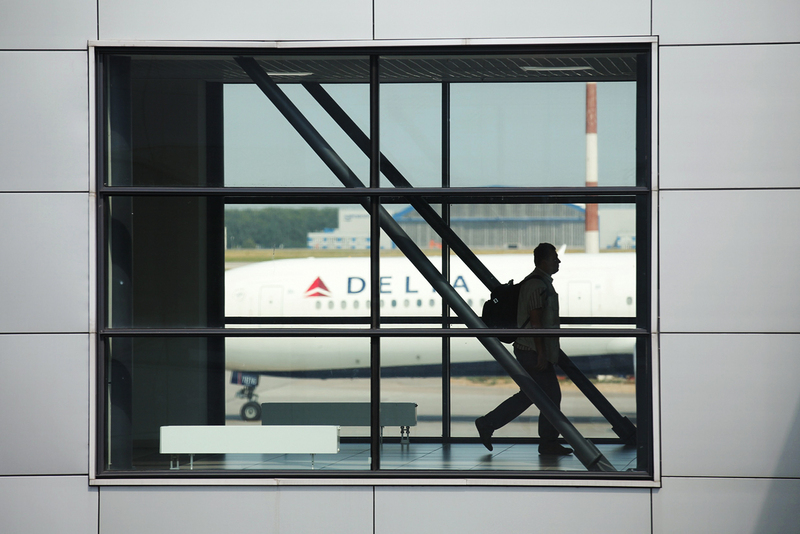 The growth of single flights within Russia in 2016 is even higher than those to foreign destinations, added Khovansky, who believes that many Russians are intimidated to go abroad because they don’t know the language. Solo travel is currently a leading global tourist trend. Momondo, the ticket search engine that works in 30 countries, reports that most single travellers live in Holland (89 percent), the U.K. (84.5 percent), and the U.S. (82.7 percent). "In 2016, the share of Russian tourists who traveled alone was 69.5 percent," said Irina Ryabovol, an official at Momondo in Russia. It’s important to keep in mind that this data includes not only vacations but also business trips, said Ryabovol, adding that, "41 percent of Russian respondents took single non-business trips in 2016, and 43 percent said it made them feel more independent." In most cases, single tourists organize the trips themselves using various online services and rarely rely on travel agencies. ANEX Tour, one of Russia's largest travel agencies, reports that reserving single tours is not common among their clients and does not exceed nine percent of all sales. "In recent years, we’ve really seen the growth of single travels, the most popular destinations of which are Thailand, Vietnam and Turkey," reported ANEX Tour's press service in a statement. Over the past three years Natalya Makarchuk, a 29-year old surveyor from Kaliningrad, has travelled alone to Holland, Italy and the Czech Republic. She finds that a single traveller's costs are significantly less than that of group because one has more chances of finding free accommodations on Couchsurfing or find a discount with Blablacar. "The advantage of solo travelling is that I don’t need to agree with anyone on the trip dates, the number of stars that a hotel should have, the itinerary, and the entertainment program," said Makarchuk. Solo travelling is primarily something that interests the young Russians, said Olga Kuzina, an expert on financial behavior at the HSE Laboratory of Economic-Sociological Studies. The appearance of the solo travel trend in Russia is part of a global solo living trend, which is now becoming popular in developed countries such as the UK. "For Russia overall, this is still not typical," said Kuzina. Solo living does not necessarily mean that a person does not have a partner. On the contrary, people prefer to live separately even if they have a partner or spouse, especially when relations are not yet official. From the economic viewpoint, solo living provides advantages on the labor market because young people today have more temporary job offers, temporary projects and opportunities to move to another country to work. "Open labor markets have formed in developed countries; for example, a Polish plumber can go to London and work there without problems," said Kuzina.